This past week I worked on cleaning out my closets. Again. Each season I try to let go of a few items. You know the ones you pass by every single day and haven't worn in two years? Why do I hold on to some of these things? Do you prefer the color coordinated method? 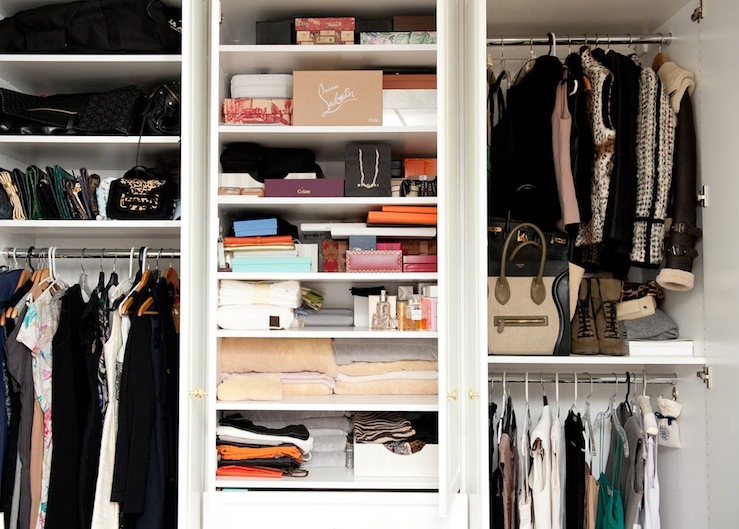 Or do you organize by type of clothing? Or are you an over achiever who does both? Closet organization has never been a strong point of mine so please share your wisdom if you've got a stellar system. It's time I take control of my closet. One more thing. Thank you so much for all your lovely feedback regarding the new blog design. Y'all are nothing short of the best! 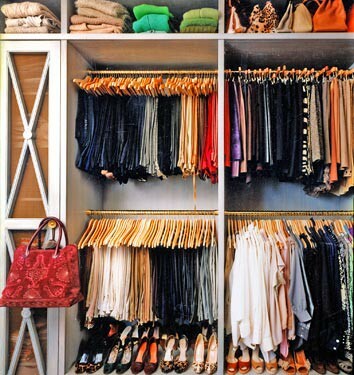 I wish these closets were mine! I'm a bit OCD when it comes to my closet. I have to keep my closet organized by color. All of the hangers have to be the same, too. Might be crazy, but this saves me so much time when I am trying to put an outfit together! I couldn't imagine doing it by color and item. I am lucky to keep it straight just by item.